Changing your diet to deal with Endometriosis is an excellent foundation to assist you in reducing your symptoms, and will help regenerate your health. Adjusting what you eat can bring about many positive physical and metabolic changes. Many of you may be aware that various illnesses and diseases have responded very positively to changes in diet, and Endometriosis is no exception. Did you know that 80% of our immunity occurs in the intestinal tract? To have a properly functioning immune system, you need to have a healthy digestive system. Because a large proportion of your body’s immune system stems from the digestive tract. A healthy gut and a healthy digestive system will aid in the production of certain good bacteria, enzymes and vitamins that help us to fight disease.Having a strong and vibrant immune system will help you to fight the underlying causes of endometriosis. Changing the foods you eat and following a diet for endometriosis has proved to be one of the best ways to reduce the symptoms of the disease by using a natural and healthy treatment option. The body will respond very quickly to what we eat, and this will reflect in our overall health. The symptoms of endometriosis respond really well to diet changes based on chemical reactions in your body. Your body is sensitive to what you put in it, for example if you have any food allergies, or you have too much sugar or caffeine. 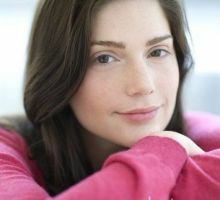 Sometimes these sensitivities will quickly show up, but at other times they are not noticed and will creep up on us in the form of dietary deficiencies. This will then show up as symptoms of ill health, but the body will give us clues and we start to develop food cravings. The reason that certain foods make the symptoms of endometriosis worse is based on the chemical reactions in the body that are caused by these food groups. Some of these chemical reactions are very subtle and complex based on enzymes in food and the complex reaction to the chemicals already present in the body. The controlled diet for endometriosis eliminates these problem food groups and in turn this helps to reduce the negative chemical reactions and can help to reduce many of the symptoms of the disease. The improvement in symptoms can include a reduction in pain, reduction of inflammation, and aims to reduce levels of estrogen in the body and thus reduce the opportunity of the disease growing further. The correct diet can help to balance these different forms of estrogen. You also need to reduce your use of xeno-estrogens (highly chemical based cosmetics and toiletries, and use natural alternatives) in order to reduce xeno-estrogens from your system. As well as dealing with estrogen levels, you need to address the levels of prostaglandins in your body. Prostaglandins are very complex natural fatty acids and are derived from dietary sources. There are many different forms of prostaglandins and new types of them are still being discovered. The painful menstrual cramps you feel are actually due to prostaglandins, as well as the pain symptoms of endometriosis. A change in diet can alter the level and the types of prostaglandins in your body. We actually have two main 'types' of prostaglandins - there are the 'good ones' and the 'bad ones'. The aim of the endometriosis diet is to block the 'bad ones' because of their negative actions on the body, and increase the levels of the 'good ones' because of their opposite and positive effect. The action of the 'bad ones' will increase uterine contractions and pain, and increase inflammation. At the same time it is important to reduce intake of the fatty acids that stimulate negative prostaglandins which are found in saturated fats, animal fats, butter. It will help your symptoms if you increase your intake of fibre, as the fibre will help to decrease the circulating oestrogen in your system. Be careful not to eat too much fibre as this can lead to constipation (contrary to what you have been told). The possible problem with constipation relates to non-soluble fibre like bran and course grains, as this will absorb any available water in the gut and actually slow down your digestive system. Read more on the topic of constipation HERE. wheat - this includes breads, cakes and pasta products, all based on wheat - contains phytic acid which can aggravate symptoms of endometriosis. Also contains gluten which women with endometriosis seem to be sensitive to. red meats - promotes negative prostaglandins which cause inflammation and can also contain growth hormones. caffeine - found in tea, coffee, soft drinks -increases abdominal cramps and caffeine increases estrogen levels. Caffeine is a known phyto-estrogen. saturated fats and oils – Foods that are high in fatty acids stimulate the negative inflammatory prostaglandins. Fatty acids are found in saturated fats, butter, margarine, lard. Although the best source of vitamins and minerals is through a well balanced diet, many of our foods today are depleted in these vital trace elements. Today, most of us need to supplement our diet with some of the vitamins and minerals that our bodies need to function optimally. Calcium - levels of calcium in menstruating women decrease 10 to 14 days before the onset of menstruation. Deficiency may lead to muscle cramps, headache or pelvic pain. Iron - women with Endometriosis tend to have very heavy periods which can lead to an iron deficiency. This can lead to anaemia which is characterized by extreme fatigue and weakness. Vitamin C - is well known for helping to boost the immune system and help provide resistance to disease. It is also used in the body to build and maintain collagen within the body. Selenium - when taken together with vitamin E has been reported to decrease inflammation associated with Endometriosis, as well as immune system booster. If you are to change your diet to help deal with Endometriosis then there will be many changes in the foods you can and cannot eat. As you can see by the advice above, there are many foods you are advised to leave out of your diet completely, especially if you are to reap the benefits. All red meats, wheat and wheat products, sugar, all dairy products, caffeine, additives and all refined and convenience foods. The information in this book is the bottom line, based on ingredients and recipes that are best suited to a diet for Endometriosis. 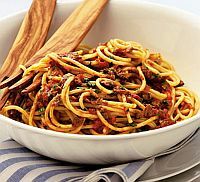 It includes recipes that do not require lots of complex cooking techniques but are full of nutritional value. snippets of nutritional advice woven among the recipes as you work your way through the book. 'I've just recently discovered your website and endo diet. I've been on it for a little over two weeks now and the difference is AMAZING. Normally I have to have 2 days off work every month because of the pain, but this month I was able to work through and only take painkillers twice over an entire day (as opposed to every 3-4 hours 24 hours a day). I've been trying to conceive for over 2 years now and have fallen pregnant 5 times and suffered early miscarriage - your website makes sense of why this has been happening in terms of prostaglandins. I've done 3 IVF cycles and IUIs. sweets and puddings - yes, you read that right! It is anticipate that the recipes in the book will give you ideas and guidelines of how to adapt your own favourite recipes, without jeopardizing your diet regime for Endometriosis. 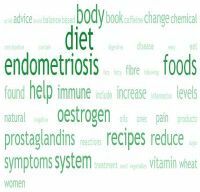 Make a start to reduce the painful and debilitating symptoms of endometriosis - loads of women as well as medical professionals are now realising just how much our foods can change or affect our bodies.